Last night I finally started my 1st beginners inking session! 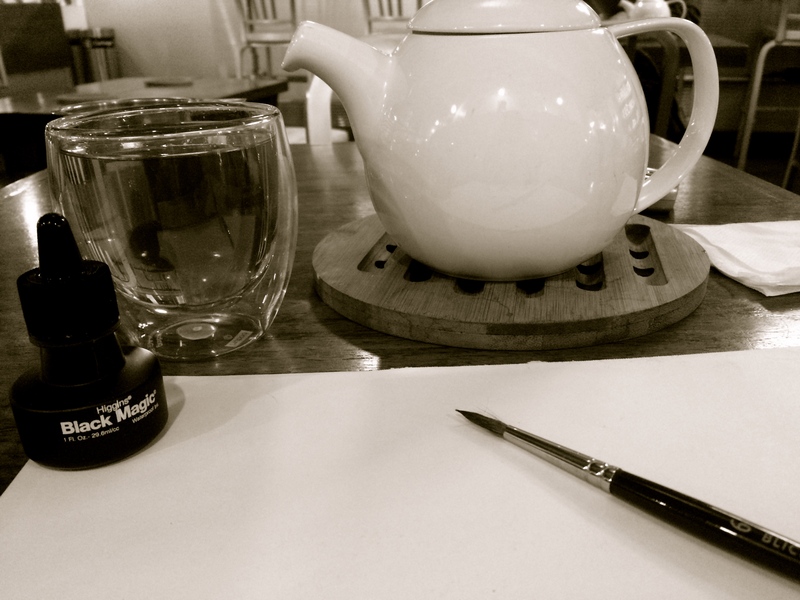 And just like the Mastering Inking with Yuko Shimizu Videos said, I happily organized and readied all of my supplies…yet one supply was not included on Ms. Shimizu’s list, so I took the liberty and added it…Tea! 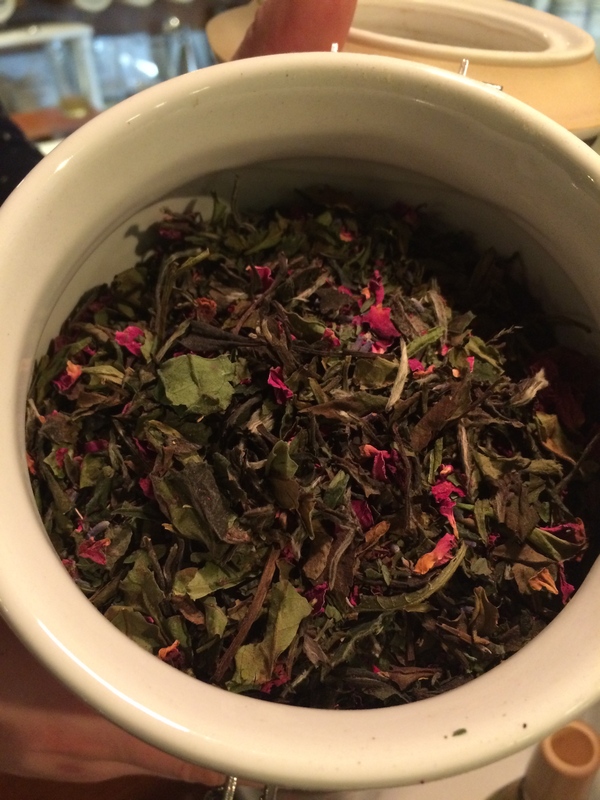 I went to one of my favorite tea shops called Remedy Tea in Capital Hill. They have 150 different types of teas and I decided that #14 LOVE BUD was my chosen artistic accompaniment for the evening. After arranging my table and sketching a quick image…I slowly dipped my brush into the fresh bottle of somewhat sour smelling ink and started my first stroke…hmm…I realized immediately that I was missing 3 crucial elements!! There is SO much brush control and steadiness of hand involved in all this! It is most certainly not an art form to do when you have the jitters. Serenity is your best friend, and I was thankful for the calming tea. Well *rolls up sleeves* here’s to round two!